I've been excited about this all weekend! Friday a package showed up in my mailbox filled with fabric for a fun series of giveaways courtesy of Patty at You Keep Me in Stitches. I know none of us are quite ready to be thinking about Christmas projects yet...but if you've been thinking about sewing up festive Christmas quilt, now is the time to get started and this jelly roll will be just the thing to kickstart your holiday sewing. In case you're not familiar with a Jelly Roll, it's a collection of 2 1/2 inch fabrics strips, the width of the piece of fabric (usually 44 inches), with a selection of all the fabrics in a particular collection, in this case 12 Days of Christmas by Kate Spain. This is OVER 3 yards of delicious designer fabric, already cut for you. They're convenient because they can be used in so many patterns, and you save a TON of time with not having to cut the fabric yourself. And it just keeps getting better! Patty at You Keep Me in Stitches is offering Pieces by Polly readers a 20% discount off EVERYTHING on in her store AND 20% off everything on her sister site, Granma's Treasures. 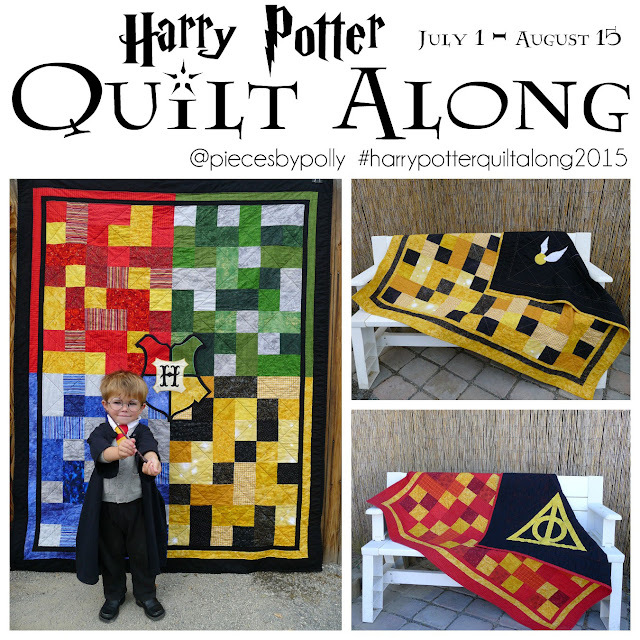 Just use the Coupon Code "Polly Pieces" at checkout. Besides Patty's gorgeous fabric selection, she also has an amazing selection of yarns. Just browsing through it makes me want to pick up crochet again. Fabrics: Holiday in the Pines Jelly Roll, Holiday in the Pines-Red, Aspen Frost Snowflake, Small Chevron Fat Quarter Bundle, Saddle Up Charm Pack, Shuffle Navy, Spring House Zig Zag, Spring House Jelly Roll. 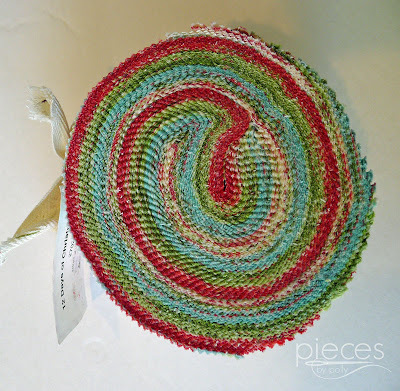 What a fun jelly roll. They are so much fun to work with! Thank you for the chance. I'm definitely a fabric girl! 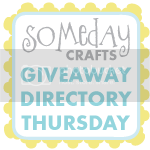 Thanks Polly for this fabulous giveaway. I'm loving all your new work! Your are so talented. I'm proud of you! Fabric girl FOR SURE! Love the Snowman Gathering Jelly Roll! In fact, I bought that through a different site a few weeks ago! 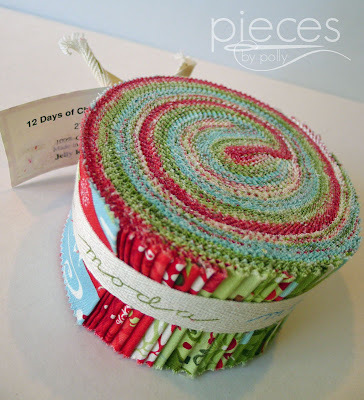 I've never used a jelly roll but I'd love to try. I've seen some great patterns for them. I"m a fabric girl. Thanks for this giveaway. I'm usually more of a yarn person, but I love the Snowman Gathering jelly roll! I am a girl sewing. I love to sew. I'm both a fabric and a yarn girl. I love the Shuffle Layer Cake. Thanks for a fab giveaway. 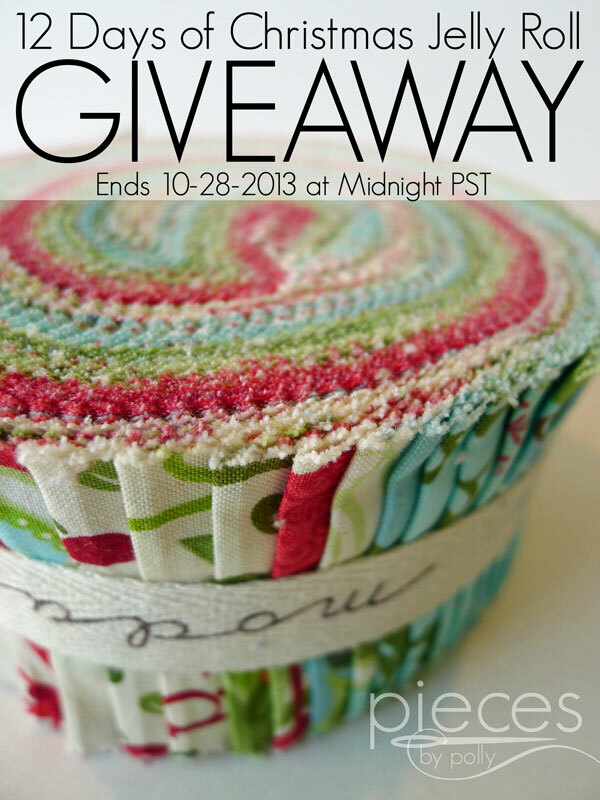 I love these fabrics and love using jelly rolls. I am really more of a fabric girl, but I do have a decent yarn collection. :) I really like the Sew Stitchy charm pack. I am obsessed with fabric. I love the small chevron fat bundle. Hi Polly! I really like fabric better. I finally gave away my ongoing crochet project, when I realized it had been 10 YEARS and still was not finished. So yes, fabric for me. All the way! I liked the Flutter charm pack. The Snowman jelly roll also sounded intriguing, but I didn't see any photos of all the prints included, so I can't say for sure. 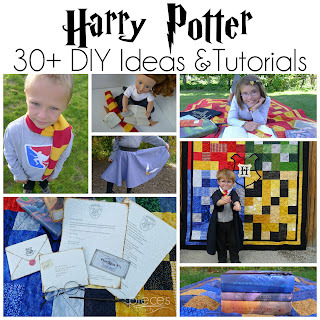 :) I'm pretty sure I already follow you on Pinterest, but I'm heading there now to make sure! p.s. Finally getting to the machine quilting phase of my hexie quilt. Slowly but surely, right? A fabric girl from way back. Love the fabric the most. I go through fabric more quickly than yarn. Flutter charm pack maybe. Or all those cute chevrons! I've done my fair share of making afghans and washcloths but quilting and sewing is what I love most! Thanks for the giveaway! Holiday in the Pines is my choice. More into fabric than yarn right now. Well I have to admit that I'm a fabric addict and a yarn lover. So many good stuff out there, I wish I could bring them home because the more the merrier :) One of my fave is Pheasant Hill Jelly Roll. Thanks for this fab giveaway! I love this jelly roll! Definitely a fabric girl! Always looking to add to my stash. Definitely fabric! I love the chevron bundle. I like the pine and snowman rolls. I'm loving the Happy Go Lucky Charm pack. I'm totally a fabric girl....right now!! I love the Happy go Lucky collection by Bonnie & Cammile. Beautiful florals! I struggle to choose between yarn and fabric! I love to crochet, so there are some super soft yarns that I am gaga for. But I am really loving the bold, chunky stripes and chevron patterns on fabrics these days, so many fabrics are pulling at me! definitely fabric -- love the Holiday in the Pines! 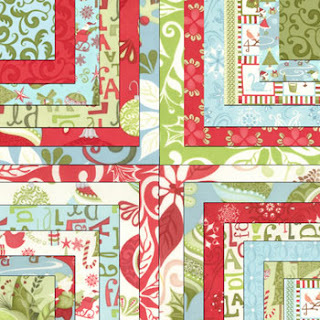 The chevron fat quarters would make a great modern lap quilt. Thanks for hosting the giveaway. I'm more of a fabric kinda girl!! Love it! Fabric for me--I love the Flutter Charm pack! I would love to use this for some Christmas projects! I'm definitely a fabric girl! Love the Flutter charm pack! Ok, I'm obsessed with both fabrics and yarns... but my fave out of all of the browsing is the Small Chevron Fat Bundle. OMG what a cute quilt that would make!! And pillows! I love sewing. last year I made our family stocking but this year we have a new baby with no stocking, looks like I need some christmas fabric. My favorite is going to be found in the fabrics. The one that I really like most is Snowman Gatherings. I like both yarn and fabric, but I do more quilting than knitting, so I'm more of a fabric girl. I love Sweetwater by Bonnie and Camille. Thanks for the giveaway! I love jelly rolls! Pick me, Pick me!!!! I think at this point I have more yarn than fabric, but fabric is slowly catching up! Love this jelly roll! Thanks for the chance to win it! It would make some lovely mug rugs and table rugs! I'm definitely a fabric kind of girl. So excited about this jelly roll.